After the successes in Australia and New Zealand, the Indian selectors and management would now look to finalise their World Cup squad during the home series against Australia. There were plenty of boxes ticked down under, but now the selectors would want to test out the bench strength. As per the Hindu, the selectors are mulling rotating the World Cup certainties during the Australia ODI series and giving a go to few other options. 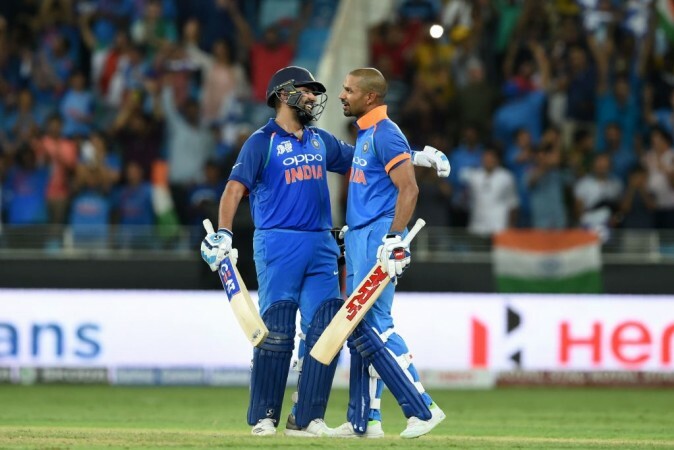 Rohit Sharma, who led India towards the back end of the New Zealand trip, might be rested in the latter half of the series and this could then give a chance to Ajinkya Rahane and KL Rahul as the selectors are looking at a third opening option for the World Cup. Also, the management could give more game time to Dinesh Karthik and Rishabh Pant in the middle order as this has been a problem for India in the recent past. "We want to make sure that they play only an optimal number of matches without affecting their fitness or form for the World Cup. We will seek proper rest for them, so they are in absolute readiness for the World Cup," Shastri told Cricbuzz. These latest developments come in the wake of statements made by a chief selector who had said that Rahane and Pant are very much part of the World Cup ambitions and hence, this series could be the opportunity for both players to stake a claim. "A healthy headache. The progression of Rishabh in the last one year is phenomenal across the formats. What we actually felt is he needs a bit of maturity now, gain more experience. That is the reason we have included him in India A series wherever possible," Prasad was as quoted by ESPNCricinfo.